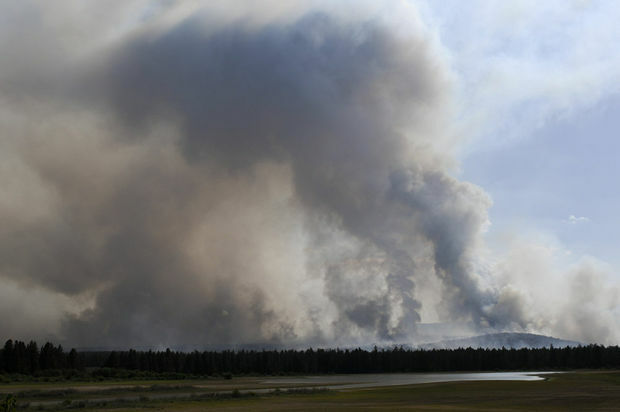 "The Two Bulls wildfire burning 10 miles west of Bend has grown to more than 6,800 acres and continues to send plumes of smoke over the Bend area. Michael Kellog of eyeonbend.com has a very cool time-lapse video shot Saturday showing the smoke and fire generated by the blaze as it grew from two separate fires into one large wildfire. Watch the time-lapse above. (Note: the date at the beginning of the time-lapse is incorrect. The images were captured on Saturday, June 7.)"